1) [GUI] Changed vehicle renaming so it doesn’t annoyingly add (1) to a duplicate name until you leave that screen, to prevent driving people MAD. 2) [GUI] Component prices on the finance screen can now be sorted up or down by either name or price. 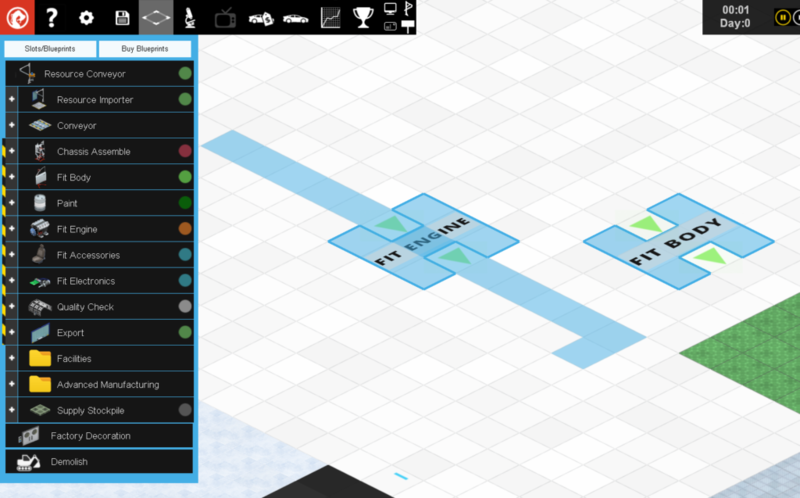 3) [GUI] Added remappable shortcut key (B) to toggle blueprint mode. 4) [GUI] Redesigned layout of car design screen to accommodate longer languages. 5) [Feature] Added Swedish translation and improved others. 6) [Bug] Fixed bug when adding items to a supply stockpile where some categories would occasionally not be shown. 7) [GUI] Smart junctions now retain their list of designs when switching in/out of design mode, and also add new designs to the default list. 8) [Bug] Fixed crash bug when moving existing paint drying slots. 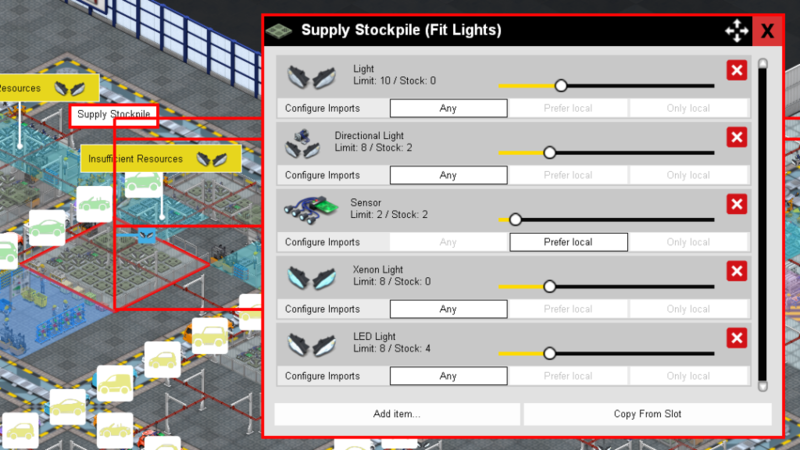 9) [Feature] You can now move supply stockpiles, and they keep their configuration when moved. 10) [Bug] Fixed bug where if you changed floor textures under office space, then moved existing office facilities, the default office floor texture was not re-set. 11) [Feature] Added researchable make electric motor and make electric powertrain slots. 12) [GUI] Canceling a slot or facility movement action snaps the item back to its old location. 13) [Feature] You now get a brand awareness boost of up to 20% automatically if you have high number of sales over the last four hours. 14) [Bug] Moved slots now remember their import preferences. 15) [Feature] Telling a supply stockpile to copy a specific task’s requirements now links it, and it auto-updates to account for new research. Any manual change to the slot breaks the link. 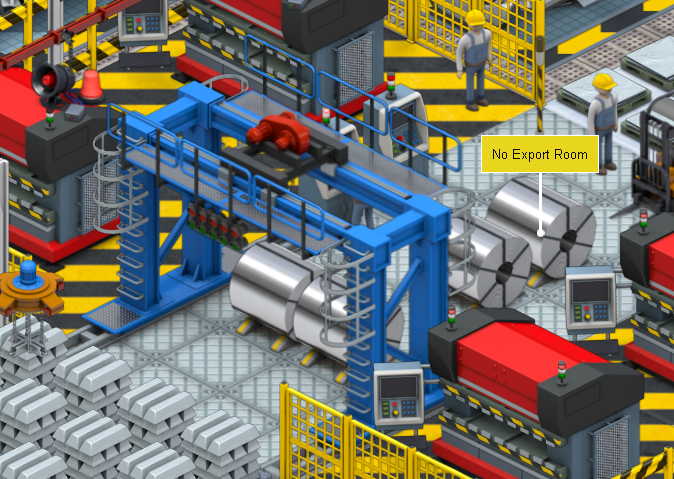 16) [GUI] You can now place down conveyor belts as blueprints. 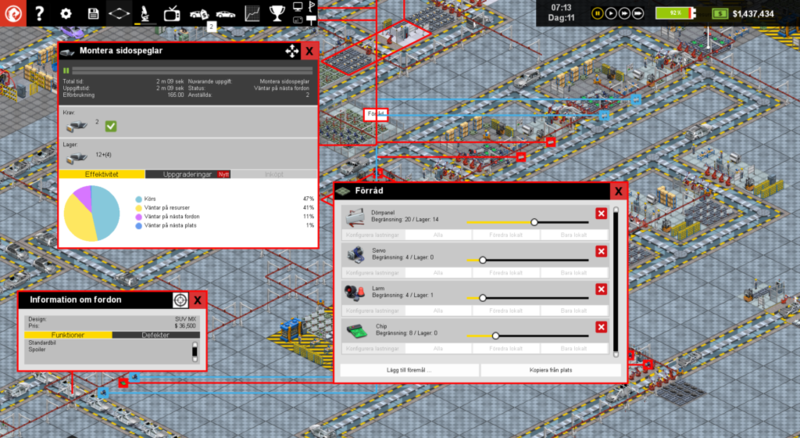 17) [GUI] The production schedules at the start of each line are now saved if you move that slot. 18) [GUI] Slight gradients on the vehicle design price slider now mark out the different price ranges. 19) [Content] Some new items have been added to various slots, to show gantrys, dashboards, shock absorbers, speedometers,automated platforms & scisssor lifts. Hope you like the new stuff. feedback most welcome, as are bug reports, we really want a bug-free emergence from Early Access. Many thanks to all your support while the game was in EA. Suggestions for future updates also welcome. if you like the game, bought it from steam and have not yet left a steam review, it is much appreciated! It’s often used in the context of justifying redoing some work. 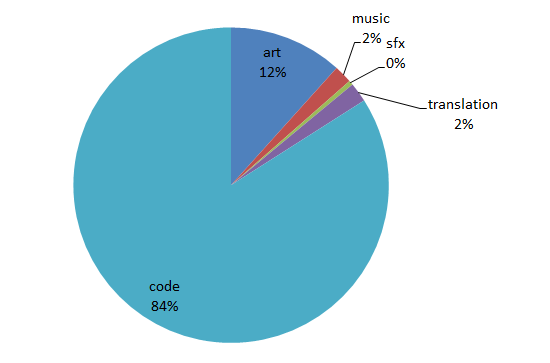 As in… “we have a lot of technical debt. The best thing to do is rewrite all this properly from scratch”. To some extent that can be justified. 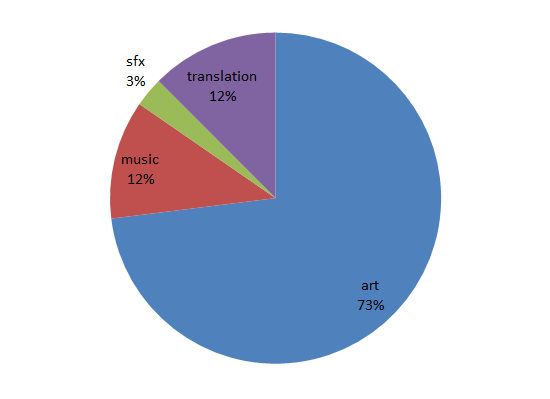 The engine for your games is effectively your house foundations. Don’t start building a house without ensuring you have decent foundations, and all that sort of thing. The problem with this mindset is that people (or rather…computer programmers) often get into the situation where they want to re-code everything from scratch again, and again, and again. 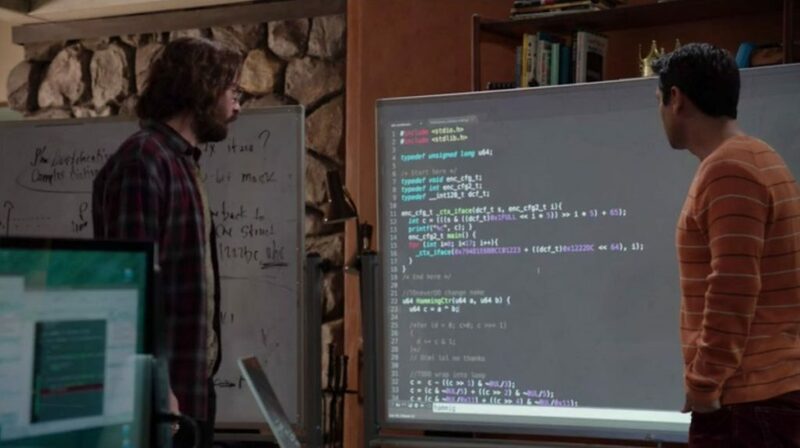 The thing is, the more experienced you get, the more you realize that the big, messy, patched, complicated looking smorgasbord of code that you are working with probably HAS to look like that. it probably looks like that for a reason. Its not pretty, its not clean, it doesn’t make for nice diagrams but it WORKS and thats important. 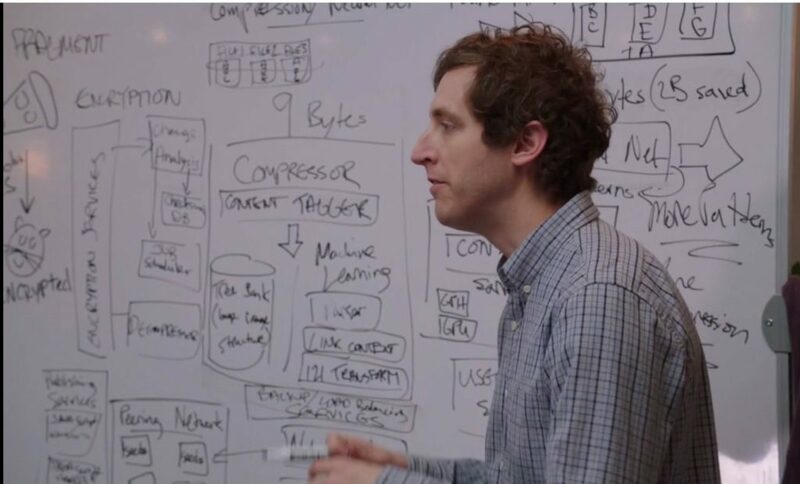 If you think thats not true I point you towards the apache web server (literally a pun on ‘a patchy web server’) and Microsoft windows, an absolute towering pile of code mess that is the very definition of technical debt. How can I possibly view these as good things…? They reported this to the Windows developers, who disassembled SimCity, stepped through it in a debugger, found the bug, and added special code that checked if SimCity was running, and if it did, ran the memory allocator in a special mode in which you could still use memory after freeing it. 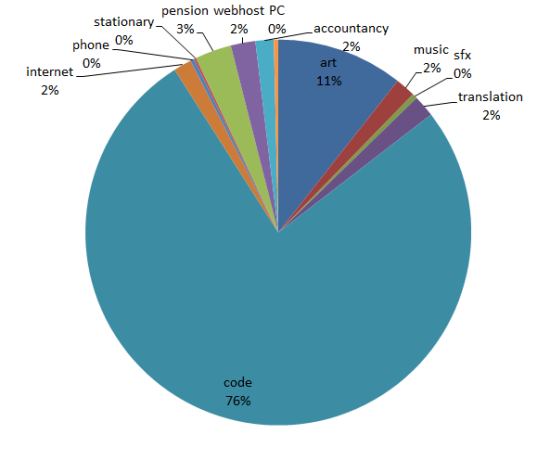 …Apache sure is installed on a lot of servers, and a huge number of PCs still run windows. Why? Because accepting that your patchy, confusing, held-together-with-string piece of code is actually MORE reliable than new stuff you could code today is actually a sign of coding maturity. I do not open source my engine, and TBH nobody would likely use it if they did, but part of my reasoning is that it would be embarrassing. I couldn’t even decide on a naming convention. At one point I didn’t care, and I had classes called things like IniLoader. Then I thought it would be cool to have a ‘G’ prefix to indicate game engine, so I have GArc GFile, GHashTable. At some crazy point I had my classes in all caps, hence DEBUGENGINE.h. Some of the code separates functions with /************/ some of it with //////////////////////////////. Pretty much the only coding standard was a member variable naming convention with FirstLetterCapped. By far the two biggest embarrassing pieces of dodgy code in the ‘more or less part of the engine’ GUI code are the following. Please try not to laugh. class . They are DIFFERENT things, with no connection, despite a button obviously being a derived class of a window in any sensible system. Thus my GUI_WindowBase class contains separate lists of buttons, and child windows. *sigh*. Stupidity two: All my windows have a virtual function call CheckClick(int x,int y), which they process, then call on any children. You would think that this took the x,y of the current mouse position and operated on it, but for some reason I gave up bothering and use helper functions like IsMouseInside() to check such stuff, which ignores the passed-in x and y. I still go to all the bother of passing x,y, down the hierarchy, but its ignored. I’m just paranoid about it. Sure I could fix this, I could rewrite my button code, junk that dumb x,y, thing and rename all my classes sensibly while I’m about it. I would then need to spend several days changing all the code in Production Line, AND checking it, and I *ASSURE* you, I would miss something. There would be a new crash bug. I wouldn’t spot it, and maybe after a dozen players encountered it, someone would tell me about it. I would have achieved nothing, but frustration for my players, and a smug feeling that my code was less embarrassing. I’m not giving into that. My current code WORKS, it has less bugs than it *ever* has. My current game (Production Line) is more stable than ever, and more stable than any game I have ever shipped. Going back and changing parts of my engine because they look messy, or because modern code fashions have changed or because there is a new API or code pattern would be MADNESS. Don’t be too hard on your old code. Sometimes age brings wisdom.